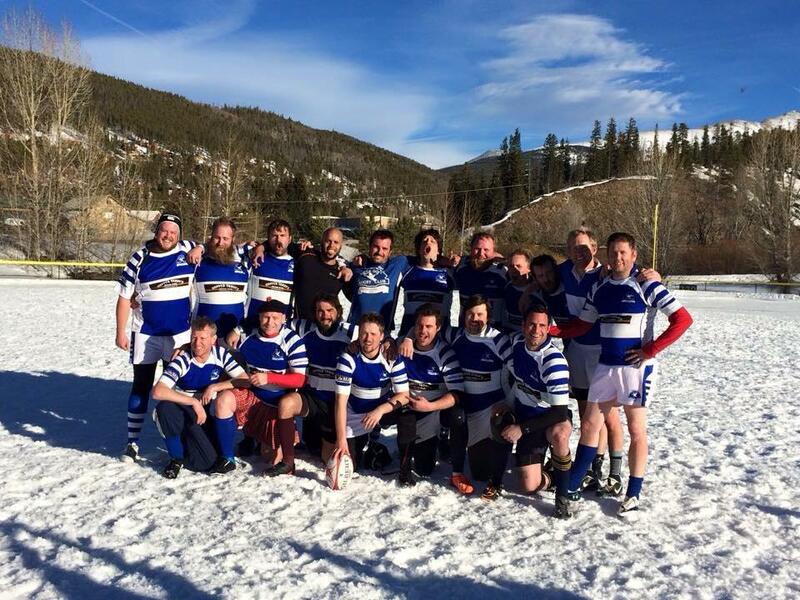 The Blue Goose RFC has been playing as the highest rugby club in the USA at 9600 feet and was organized in 1974. Want to play for the Gentlemen of the Blue Goose? 6. Spend a summer improving your fitness by training and playing at altitude. 5. We won't conflict with your current team -- We play in the Men's mountain division of ERRFU, our summer league is played from June through the end of August. It's the perfect place to get fit, play some good rugby, and and make new friends. 3. Great location -- Breckenridge in Summit County, is a mecca for outdoor enthusiasts and is the perfect place for any aspiring rugby player to enhance your fitness for next season while enjoying a great environment. 2. Temperate climate with lots of sun -- due to our altitude, our summers are cool, around 70-75F, with over 300 days of sun a year. 1. More bars per capita than any other town in the USA -- We have more bars per capita than any other town to allow you to entertain everyone with your rugby stories from days gone or just the latest match where you ran a 100 yards to score the winning try! Need to contact the Gentlemen of the Blue Goose?